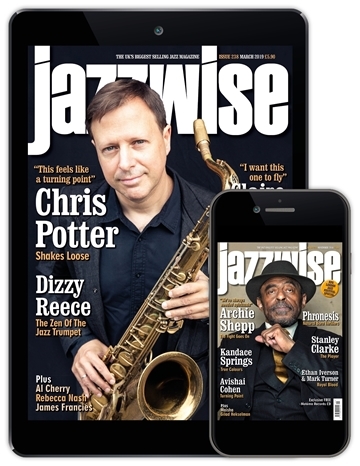 For more than 20 years Jazzwise has been at the vanguard of jazz journalism, bringing news, reviews and features from the heart of the UK and international jazz scenes. 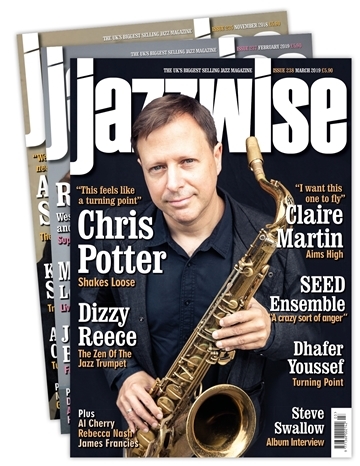 Every month our critically-acclaimed team of writers guide you through the spectrum of jazz’s past, present and future masters: with hot news, gossip, an extensive gig guide, exclusive interviews and the UK's most authoritative reviews section covering CD, vinyl, books and DVDs. Take advantage of this special offer today and save 20% on any of our three great subscription package options – with prices starting from as little as £7.80. 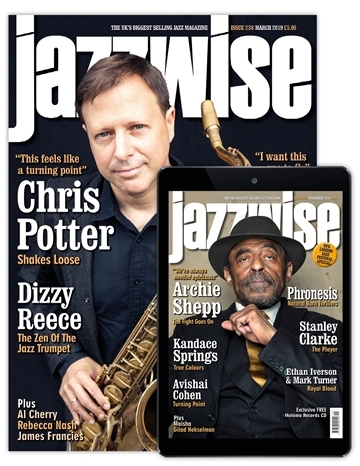 Choose your preferred subscription package below, and enter promo code JAZ518 at the checkout to receive 20% off!